Revisiting GoldenEye 007 on the N64: The Greatest FPS of All Time? Remember when games were hard? I can recall, as a child, a time when playing various different games I would get incredibly frustrated with a particular level that I just couldn’t get passed. I kept falling off a ledge, or couldn’t work out how to beat a boss. Sometimes I’d ‘rage-quit’ and completely give up on a game, never to return to it again, because it was just too hard. 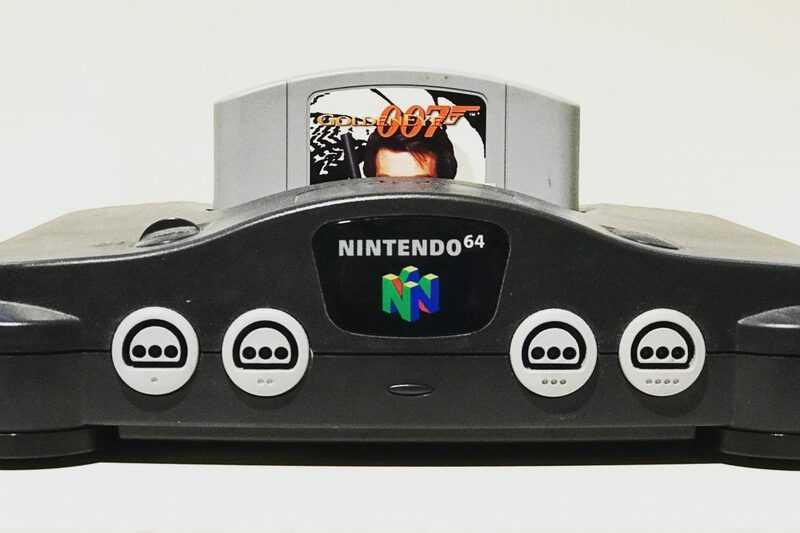 One of those games was GoldenEye 007 for the Nintendo 64. One of the most famous, platform & genre defining games of all time. Don’t get me wrong, I spent days, if not weeks, of my life playing the split screen multiplayer with my next door neighbour. But the single player? I raged-quit on that pretty darn quickly. I just couldn’t get past the now infamous Severnaya Bunker level (I was always convinced that Natalya was deliberately trying to get herself killed, rather than me just being a bit rubbish as a secret agent). As I got older, like many of us, I upgraded my consoles as each new generation came out (my current console of choice is the PS4), and I also became far better at games. Seldom do I find a game that I ‘struggle’ with, let alone give up on. I had, until recently, put this down to my experience, and a very particular set of skills. Skills that I have acquired over a long time spent gaming. Skills that make me a nightmare for the games of today. Skills that…well, you get the idea. I’ll stop with the Taken reference now. The point is, I’m now pretty good. Regardless of my level of skill at the time, GoldenEye 007 was iconic. Releasing in 1997, 2 whole years after the film it tied into was released (unheard of in today’s market), GoldenEye 007 took the gaming world by storm. Prior to its release, gaming had been a fairly arsed affair, it was the equivalent to using your jumpers as goal posts at either end of the school yard, it did the job, but it was hardly a football pitch. Then along came James Bond and Friends, and this wasn’t just a proper pitch, this was the ’66 World Cup Final at Wembley, and you were Geoff Hurst high on elation after just scoring a hat-trick. GoldenEye 007 set the table that the gaming industry has eaten off ever since. This was how to make a movie tie-in, this was how to make a first-person-shooter, this was the future. And everybody knew it. It obliterated the competition of fixed-rail-shooter DOOM, with its free-flowing, realistic feeling gameplay. The layout of the N64’s controllers leant themselves beautifully to giving the players options. You could crouch, climb, strafe and hide to your heart’s content. This added a whole new dynamic to gameplay. It was no longer enough just to be able to shoot fast. Now you had to shoot fast AND think about how best to avoid being shot at. The single player mode follows the plot of the film, with certain parts being elongated to improve playability. The introduction is a prime example of this, being expanded across three missions. It’s what many of us have now come to expect from movie tie-ins on that front. Where GoldenEye 007 stands out, is in it’s simplicity. Each difficulty level added a new task that was required to complete the mission and rewarded players with cheats (whatever happened to cheats? ), such as Tiny Bond, or Invincibility, as well as new levels for the multiplayer. And speaking of the multiplayer, my god, what a multiplayer! Bond introduced the world to the very first split-screen, head-to-head deathmatch, and revolutionised multiplayer right up until the day someone thought of connecting their console to the internet. Which is pretty remarkable when you discover that multiplayer was only added to the game at the very last minute because the developers decided to make use of the N64’s four controller ports. After a recent night out, that saw a small group of friends and I head back to the London Lamppost’s very own Editor’s place for a few more drinks, I spotted an N64 just next to the telly. My immediate reaction was ask our host whether he had GoldenEye for it. His response, ‘Of course I do, why else would I have an N64?’ I couldn’t resist the chance to play it again, I challenged everyone to the multiplayer right then and there. Given that I have just spent an entire article recalling what an unbelievably good game GoldenEye 007 was, you may be expecting me to tell you that it was just as good and as revolutionary as I remember. Alas, this is not the case. The game has aged about as well as an open bottle of milk. The controls are clunky, the frame rate hurt my eyes, and the y-axis was inverted (which is a setting I don’t think I’ve played with since I was about 7). But worse than all of this, I was REALLY bad at it. I couldn’t blame this on Natalya’s rubbish AI, I was having my arse handed to me by people that don’t even play videogames! It was too much, I threw down my controller and snapped ‘Well, I never liked this stupid game anyway’. That’s right, I raged-quit GoldenEye 007 once again, and I wouldn’t have it any other way. 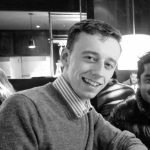 Forever hopping between the bright lights of the city and the rural planes of Northernmost Yorkshire, Brian Hick is an admirer of fine food & drink, a player of videogames across all consoles, and a lover of all things automotive. He is a surveyor by trade.